Weston Smith was born on July 11, 1935, in Cleveland, Ohio. 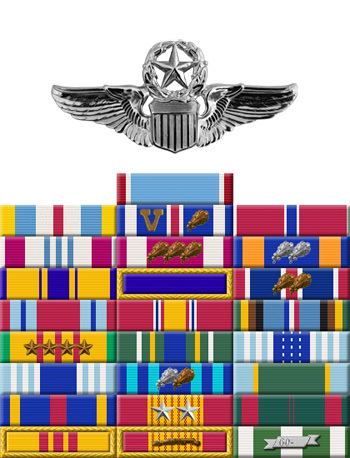 He was commissioned a 2d Lt in the U.S. Air Force through the Air Force ROTC program on June 7, 1957, and went on active duty beginning January 18, 1958. Lt Smith next completed pilot training and was awarded his pilot wings in February 1959, and then completed F-100 Super Sabre Combat Crew Training before serving with the 614th Tactical Fighter Squadron at England AFB, Louisiana, from April 1960 to September 1961. His next assignment was as an F-100 pilot with the 7272nd Air Base Wing at Wheelus AB, Libya, from September 1961 to June 1964, followed by service as an instructor with the Air Force ROTC detachment at Bowling Green State University, Ohio, from June 1964 to April 1968. Maj Smith deployed to Southeast Asia in July 1968, where he served as an O-2 Milirole forward air controller with the 21st Tactical Air Support Squadron at Nha Trang AB, South Vietnam, from July 1968 to July 1969. His next assignment was as the Air Force Representative to the U.S. Army Field Artillery School at Fort Sill, Oklahoma, from July 1969 to July 1973, followed by service with Headquarters U.S. Air Force in the Pentagon from July 1973 to June 1978. 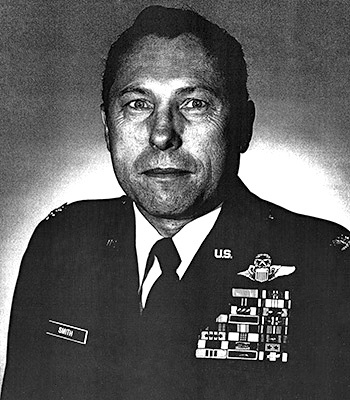 Col Smith served as Commander of the 554th Combat Support Squadron and Commander of Indian Springs Air Force Auxiliary Field, Nevada, from July 1978 to May 1980, and then as Base Commander of Kunsan AB, South Korea, from June 1980 to June 1981. His final assignment was with Headquarters U.S. Air Force in the Pentagon from July 1981 until his retirement from the Air Force on October 1, 1987. Weston Smith died on December 20, 1990. The President of the United States of America, authorized by Section 8742, Title 10, United States Code, awards the Air Force Cross to Major Weston T. Smith for extraordinary heroism in military operations against an opposing armed force near Ben Het, Republic of Vietnam, from 24 February 1969 to 25 February 1969. During this period, Major SMith directed close air support against one of the most heavily defended target complexes in the Republic of Vietnam. Despite intense, accurately directed hostile fire which damaged his unarmed aircraft, Major Smith was successful in directing the neutralization of the opposing force. With complete disregard for his own life, he saved the lives of many American and allied soldiers and prevented the strategically located friendly position from being overrun. Through his extraordinary heroism, superb airmanship, and aggressiveness in the face of the enemy, Major Smith reflected the highest credit upon himself and the United States Air Force.